Cleopatra was born in 70 or 69 B.C. and was the eldest daughter of Ptolemy XII (Auletes), the Pharaoh of Egypt. Her mother is believed to be Cleopatra V Tryphaena, the king’s wife (and possibly his half-sister). Cleopatra had an eventful life in which she married both her brothers and also fought against them for the throne of Egypt; she had a relationship with Roman Dictator Julius Caesar, and after his assassination, with his friend, the Roman General Mark Antony; and she eventually ended her life by committing suicide. Cleopatra is a famous figure in history renowned for her beauty and there are various legends related to her. However, since no contemporary accounts exist of Cleopatra’s life, most of her story is known through later historians like Plutarch (46 AD – 120 AD), Dio Cassius (155 AD – 235 AD) and others. 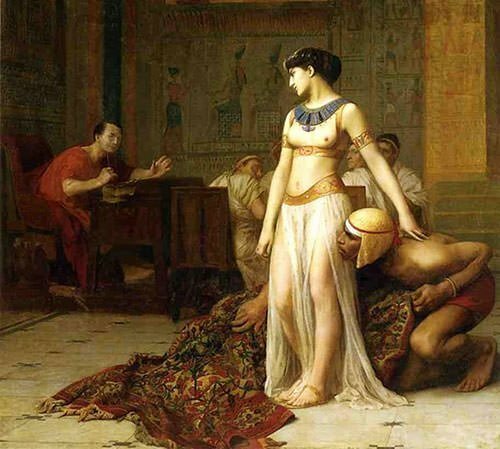 Know more about the family, life, reign, relationships and death of the famous Egyptian Queen Cleopatra VII Philopator through these 10 interesting facts. Isis was one of the major goddesses of Ancient Egypt and was seen both as a Divine Mother and the Protector of the Dead, a guide and protector from womb to tomb. Isis was married to Osiris, her sibling and the god of afterlife. In 1st century BC, the times of Cleopatra, Osiris and Isis were very popular and widely worshiped among Egyptian deities. Isis by this time had absorbed traits from many other goddesses. Perhaps out of belief or fascination or just for political reasons, Cleopatra VII styled herself as the new Isis. She dressed up as the depictions of Isis, behaved like a goddess, pointed at the sacred ancient prophecies foretelling of a new age that would dawn under the rule of Cleopatra-Isis and, in this process, she mesmerized the Hellenistic world. Marriage between brother sister and father daughter was a long held practice in Egyptian Royal family. It was perhaps an emulation of Gods like Osiris and Isis and the way of the Pharaohs (who were considered embodiments of Gods themselves) to emulate the gods and goddesses and to set themselves apart from the rest of the population. Though loathed by the Greeks, this practice was introduced to the Ptolemaic dynasty by Ptolemy II and his sister Arsinoe II, a couple of centuries before Cleopatra VII. 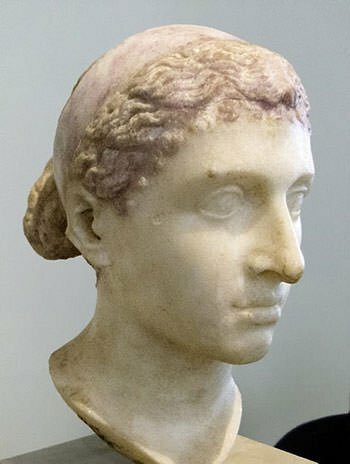 Hence after the death of her father in 51 BC, when Cleopatra ascended the throne of Egypt along with her younger brother Ptolemy XIII, they both were possibly married as was the custom of the times. The arrangement was unsuccessful though as they both worked against each other resulting in the drowning of Ptolemy XIII while fleeing across the Nile in the Battle of the Nile in 47 BC. Roman General Julius Caesar was during this time in an affair with Cleopatra and placed her back on the throne, this time along with another of her brothers, Ptolemy XIV who was 12 or 13 years of age. 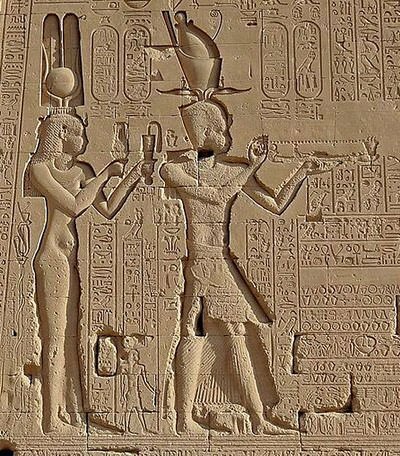 The young Pharaoh and Cleopatra were married, but Cleopatra continued to act as lover of Julius Caesar, keeping the actual authority over Egypt to herself. Cleopatra was an ambitious queen. She wanted control over her kingdom since her ascension as the Pharaoh Queen in 51 BC. In 48 BC, Cleopatra managed to charm the esteemed Roman general Caesar on his visit to Alexandria, thus further inflaming the rivalry between her and her sibling husband Ptolemy XIII. The politics that ensued led to the siege of the palace at Alexandria with Caesar and Cleopatra trapped together inside. Arsinoe IV, the younger sister of the two, had joined forces with her brother Ptolemy XIII against her sister Cleopatra in this tussle. The siege ended in 47 BC after the arrival of Caesar’s reinforcements and his victory in the Battle of the Nile. Ptolemy drowned in the Nile and Arsinoe was exiled to the Temple of Artemis at Ephesus. A few years later in 41 BC, Arsinoe was executed on the steps of the same temple, on the orders of another of her sister’s lover Mark Antony. Ptolemy XIV was Cleopatra’s youngest sibling who was appointed Pharaoh in 47 BC after the death of Ptolemy XIII. Though Cleopatra was married to him she continued to act as the lover to the Roman dictator Caesar. It was perhaps the assassination of Caesar in 44 BC in Rome that hurried Ptolemy XIV death. Cleopatra presumably poisoned him, with aconite. Ptolemy XIV was replaced by Ptolemy XV Caesar, better known as Caesarion, who was Cleopatra’s love child with Caesar. Now with her infant child was co regent, Cleopatra’s position in Egypt was more secure than ever and she intended to support her child as the successor of his father. In 48 BC, after the murder of his political rival Pompey, Julius Caesar arrived in Alexandria hoping for the repayment of the debts incurred by Cleopatra’s father, Auletes. Ptolemy XIII who had ordered the killing of Pompey hoped to gather favor with Caesar, but Caesar was enraged at the murder of a Roman consul by a foreigner. Cleopatra on the other hand needed Caesar’s support to regain full control of Egypt from her brother. Historian Cassius Dio records how Cleopatra without informing her brother, charmed Caesar with her attractive dress and wit. Plutarch on the other hand provides a more captivating account, alleging that she smuggled herself into the palace to meet Caesar tied in a bed sack. Whatsoever be the case, Cleopatra and Caesar were soon involved in an affair which propelled her into power in Egypt and lasted till the assassination of Caesar in 44 BC. 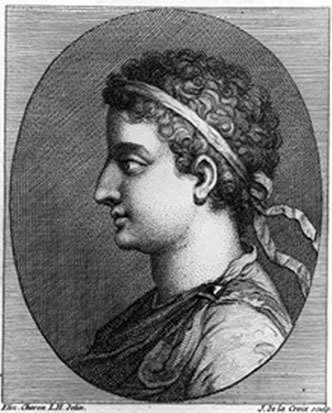 Cleopatra had a son named Ptolemy XV Caesar in 47 BC, who is believed to be Julius Caesar’s child. Cleopatra is known to have joined Julius Caesar in Rome somewhere in 46 B.C., where she was lodged in Caesar’s private villa beyond the Tiber River. In this time Caesar awarded both Cleopatra and Ptolemy XIV the legal status of “friend and ally of the Roman people”, and may have also established Cleopatra’s golden statue in Temple of Genetrix. Cleopatra was in Rome when Caesar was assassinated in 44 B.C. She prolonged her stay in the vain hope that Caesarion, her son and lovechild with Caesar, would be recognized as Caesar’s heir. Disclosure of Caesar’s will and declaration of his grandnephew Octavian as primary heir left her dejected and she soon departed for Egypt. The Second Triumvirate of Mark Antony, Octavian and Lepidus was formed in Rome in 43 B.C. to restore order in the Republic and bring Caesar’s assassins to justice. 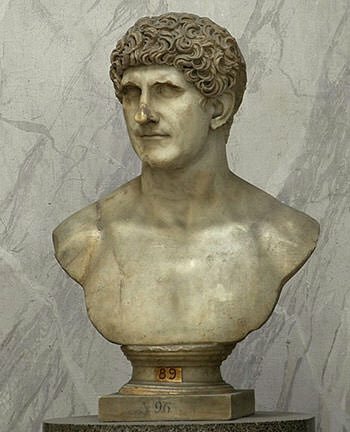 This led to the emergence of two major power groups within Rome; Octavian had influence over the western and Mark Antony over the eastern half of the Roman Republic. In 41 B.C., Antony had established his headquarters in Tarsos. 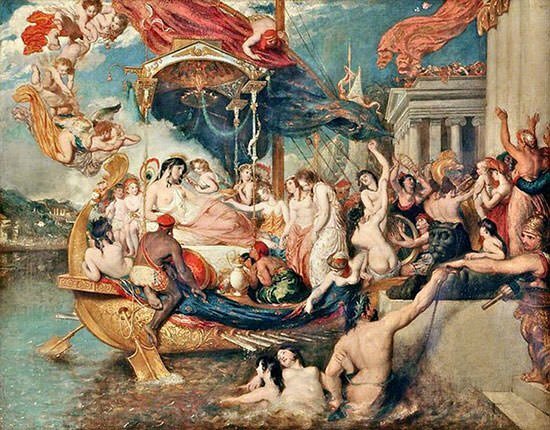 After ignoring many of his summons, Cleopatra finally sailed up the Kydnos River to Tarsos hosting Antony and his officers to lavish banquets on board the ship and entering into a relationship with him. Cleopatra needed an ally in Antony to protect her crown and maintain Egypt’s independence while Antony needed the country’s riches and resources to further his ambition. It is noted that they were very fond of each others company and spent the winter of 41-40 B.C. living a life of leisure in Egypt, even forming their own drinking society known as the “Inimitable Livers.” In 40 B.C., Cleopatra delivered twins, a boy named Alexander Helios and a girl named Cleopatra Selene II, both of whom Antony acknowledged as his children. They would have another son Ptolemy Philadelphus in 36 BC. Anthony’s marriage to Octavian’s sister Octavia failed to assuage the political struggle between Antony and Octavian. The burning ambition to rule the empire led to blatant propaganda by both groups. Being a foreigner; her history with Caesar; and with few in Rome to support her; Cleopatra became the easiest target in this gossip. She was said to have brainwashed Mark Antony with witchcraft and sorcery and seduced him into a slave. She was made extravagant in her ways; pompous and arrogant; and was deemed as dangerous as Homer’s Helen of Troy in destroying a civilization. This gossip from the propaganda war would soon provide material for Augustan Period Literature (27 B.C. to 14 A.D. and now called the golden age of Latin Literature). After Octavian declared himself as the first emperor of Rome, this gossip would become the popular image of Cleopatra to modern times. d. and distribution of Roman and Parthian lands to Cleopatra’s children along with various titles. In 31 B.C. with himself as elected consul; with Antony’s triumvirate authority expired; and with Antony’s will now public; Octavian had the senate on his side for Rome to declare war on Cleopatra. Defeated decisively at the Battle of Actium, Antony and Cleopatra moved to Egypt and attempted to negotiate with Octavian but nothing fruitful emerged. Going for the final assault Octavian invaded Egypt in 30 B.C. Left with no other alternative and in the false belief that Cleopatra had committed suicide, Antony fatally stabbed himself with his sword. With Antony dead and news that Octavian was planning to parade her in his victory parade in Rome, Cleopatra decided to end her life. 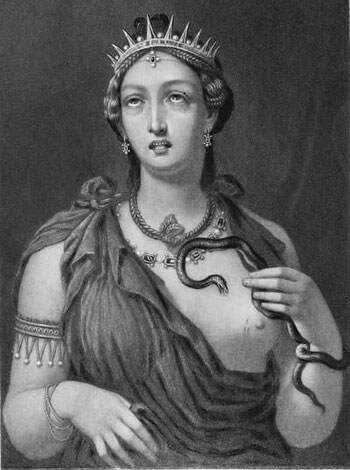 Although legend has it that she did so by enticing a snake to bite her, ancient chronicler Plutarch admits that “what really took place is known to no one.” Cleopatra was also known to conceal a deadly poison in one of her hair combs, and the historian Strabo suspects that it may have been the cause of her death. Why do people think Cleopatra is a white lady. She’s from Egypt which is in africa which mean she was black not white. If you really did your research you will know that Roman people went to egypt and burn our libraries.